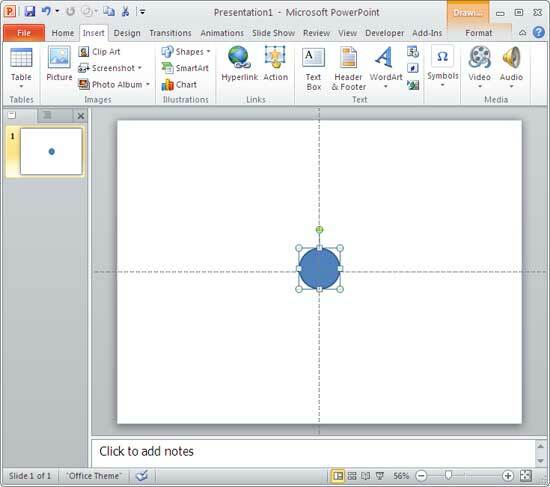 Learn how to insert Shapes in PowerPoint 2010. 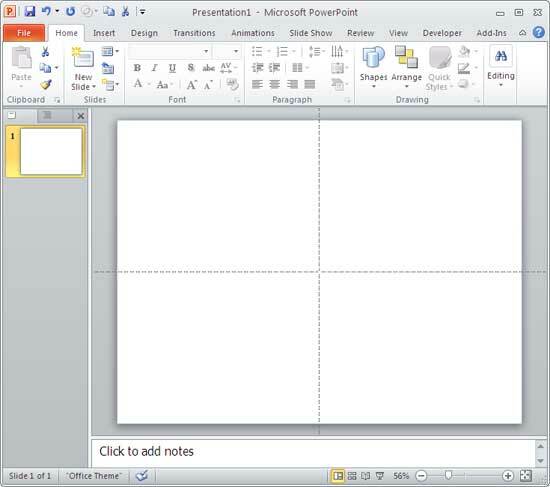 Within PowerPoint 2010, open the presentation (or create a new one) and select the slide where you want to insert a Shape and change its layout to Blank or Title only (see Figure 1). 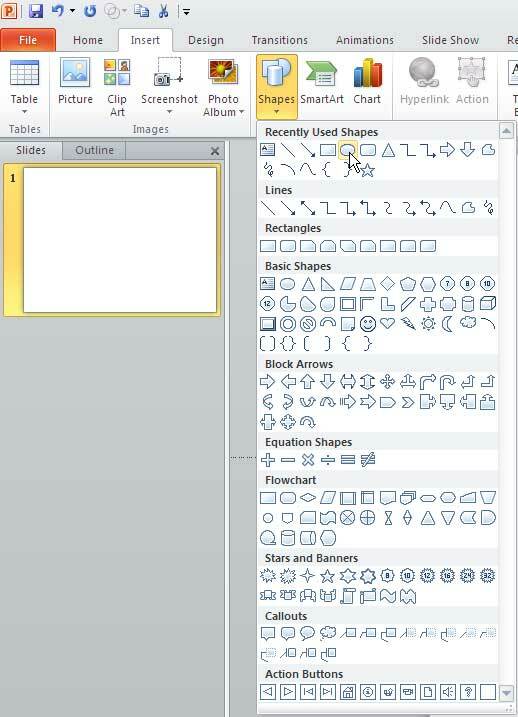 Access the Insert tab (or the Home tab) on the Ribbon and click the bottom part of the Shapes button to bring up the Shapes gallery, as shown in the Figure 2. As shown in Figure 2 above, PowerPoint provides several categories of Shapes such as Rectangles, Lines, Basic Shapes, Block Arrows, Stars and Banners, Callouts, etc.